Visual Studio Code>Other>Markdown Image SizeNew to Visual Studio Code? Get it now. Adds ! 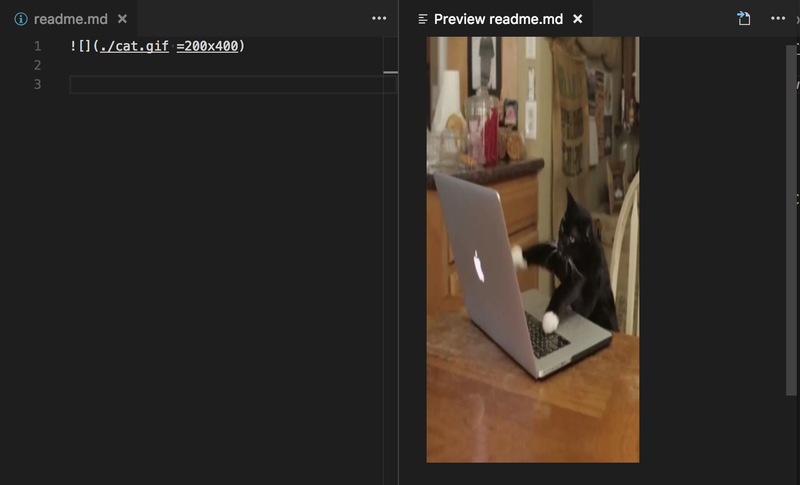 (https://github.com/mjbvz/vscode-markdown-image-size/raw/master/./cat.gif =100x200) image size syntax support to VS Code's built-in Markdown preview.